UMass out of the MAC in 2016; What then? This whole moving up to the FBS thing has not exactly panned out well for the University of Massachusetts. On Wednesday the decision was made between the MAC and UMass that the 2015 football season will be the final year the Minutemen will compete in the conference as a football-only member. The conference and school had agreed to work out a deal that would allow UMass to either commit to joining the conference as a full-member or leave the conference as an associate member. 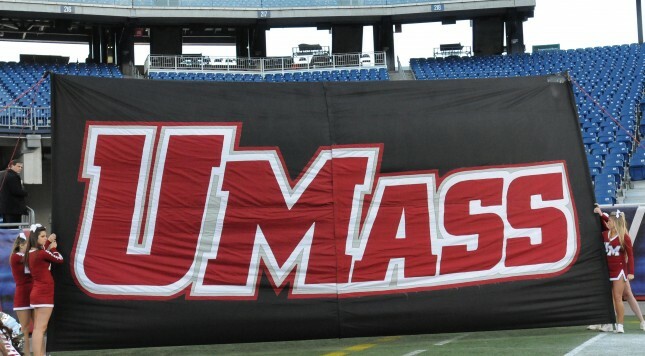 UMass made the move up to the FBS in 2012, joining the MAC as a football-only member. It has not gone very well. The Minutemen have gone 2-22 in their first two seasons, and it cannot all be blamed on making a move up in level of competition. In those 22 losses in 2012 and 2013, only four have come by a single-digit margin. Even for a program moving up the ranks, that is tough to overcome. When Temple announced they were leaving the MAC for the Big East, UMass was left stranded. UMass and Temple were supposed to be football-only partners in the conference, but the Owls jumped at a chance to return to the Big East when they could. This left UMass stranded and isolated in the MAC. Because the school feels better off with their other sports such as basketball in the Atlantic 10, the decision to leave the MAC in football may end up being a wise move. So, which conference should UMass be holding out hope for? The American has to be Goal No. 1 for UMass right now. The Big Ten recently moved into the neighborhood with the addition of Rutgers, but if any school form the New England area was ever going to be considered for membership, it would be Boston College or Harvard. And we know that is not happening. The ACC has no place for UMass in what is already a 14-member conference that includes Boston College, so scratch the ACC off the dream list. The most logical conference at this point for UMass would appear to be The American. This year The American will be losing Louisville to the ACC and Rutgers to the Big Ten. The conference will add East Carolina, Tulane and Tulsa this year and Navy will join as a football-only member in 2015. The addition of Navy will bring the conference membership up to 12 members in football, which allows for balanced divisions and a football championship game. The need to add a program is not there for The American, especially the addition of a program struggling as much as it is to make it in the world of FBS. UMass is not a draw even in their home stadium, but the idea of getting The American brand into the Boston region may be enticing enough for at least some discussion. The question would be whether or not The American would want UMass as a football-only member or if they would demand full membership. Getting UMass as a full member would do The American much more than just adding on a football member. Adding Navy as a football only member carries more weight than UMass as a football-only member, because the Midshipmen have a national following. UMass does not have that kind of clout as a football brand, but perhaps the rest of the athletic department could be of notice? Of course, UMass has already claimed that the travel expenses to compete in all sports against the MAC would be mounting, so what about travel expenses to Louisiana, North Carolina and Texas? At least there’s UConn (for now at least). From the perspective of UMass, all eyes have to be set on joining The American if the school truly believes they will be able to join another FBS conference, whether in just football or as a full league member. There is no other possibility outside of the MAC. It may be wise for the leadership at UMass to get in touch with the folks at Army and begin discussing the possibility of making a joint push to join The American as football-only members. I have always thought that it would be an interesting concept for the AAC to add Army the same way they are adding Navy, as a football-only member. This way the conference could capitalize on the national coverage for the annual Army-Navy Game. But with Navy becoming the conference’s 12th member in 2015, it might be better off for the conference to expand in even numbers. This plays into the advantage for UMass, who could piggyback Army into membership for football, thus giving UMass one more nearby football opponent as well. Or UMass could try living as an independent, at least for a few years while the program works to improve its profile. This is perhaps the most dangerous road to travel for UMass though for some of the reasons already listed above. UMass is not a national name brand in football the way Notre Dame, Navy or BYU is. Notre Dame can print their own money, and BYU is doing better than I anticipated as an independent so far. But even Navy has come to grips with the reality of the evolving college football world, and I would not be shocked to see BYU one day rejoin a conference ready to take them in at some point. Life as an independent in college football is not easy, and UMass would have a lot of work ahead of them. Scheduling is challenging, but allows for more flexibility. Television coverage would be tricky to obtain at home, but perhaps a deal with a regional network (NESN?) could be worked out? There are pros and cons to going independent, but until UMass proves they can win football games, they will likely not receive deals to play in bowl games the way Notre Dame, BYU, Navy and Army can set up years in advance as long as they qualify for the postseason. Of all the options on the table, this independent lifestyle should be buried on the bottom. Will UMass go back to FCS? But it may actually be the best situation the school could end up in if an invite to The American never comes in the mail. Time will tell, and again it is so easy to sit here today and suggest the school should make a call to the Colonial Athletic Association and ask for re-entry in football. If they say no, the A-10 is on speed dial. The decision does not have to be made today, fortunately for UMass. 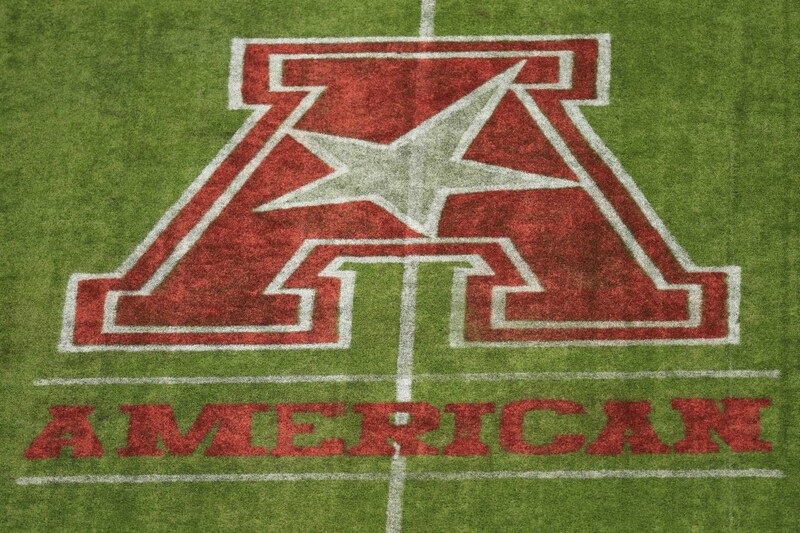 The school has two more seasons to make the best of the situation in the MAC, but if the AAC never calls then opting for a stable life as an FCS program may end up being the better situation than the uncertainty as an FBS independent. “I was aware of this possibility when I accepted the position of head coach, and I believe this move is in the university’s best interest,” new (and former) head coach Mark Whipple said in a statement. Whipple is the school’s all-time winningest coach and he returns to his position as head coach in 2014 after nine years as an NFL assistant coach at various stops around the league and a year off from coaching. Here’s hoping Whipple can breathe some life in the UMass football program before the FBS doctors are forced to call it in.